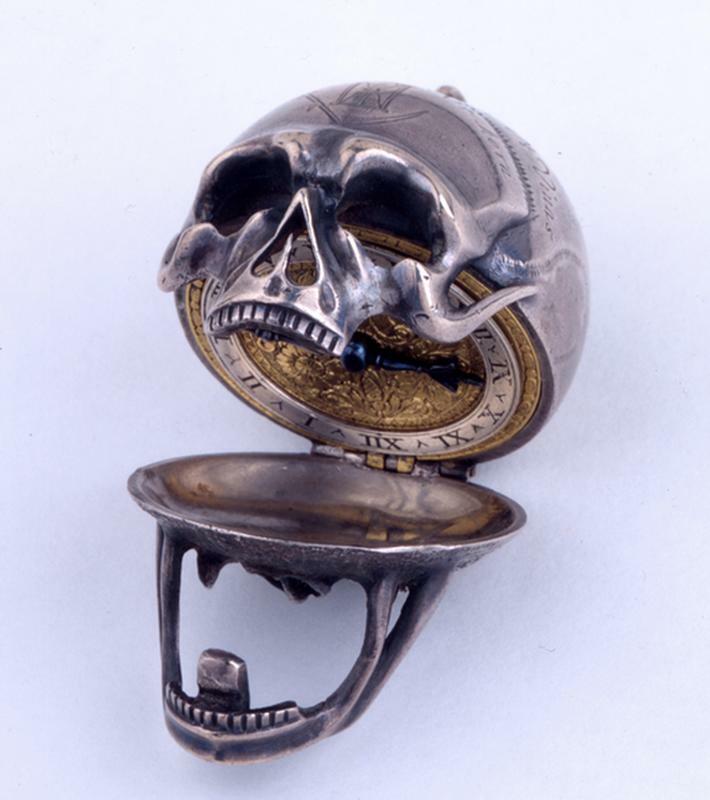 Silver skull pocket Momento Mori watch, 1650 -- engraved with Memento mori exhortations Incerta Mortis Hora/"the hour of death is uncertain" -- it reminded the wearer to seize the day. The latin phrase, 'Memento Mori' dates back to antiquity and roughly translates to “remember you are mortal.” It was popularized with the rise of Christianity during the Medieval ages, where it took on an extended meaning of living well because with death comes your last judgment. As such, death, and the symbol of the skull were not marose but moral reminders that life is fleeting. This explains why Rome’s Capuchin Crypt and Evora’s Capela dos Ossos, are adorned with skeletal remains from floor to ceiling -- these symbols of mortality illustrated the urgency of creating a life legacy that expanded beyond death.